Ken Shamrock vs Kazuo Takahashi Pancrase: Truth 1 Jan 28, 1996 (26:41) Ken Shamrock vs Kazuo Takahashi from Pancrase: Truth 1 on January 28, 1996 in Yokohama, Japan. Josh Barnett vs Yuki Kondo Pancrase: 10th Anniversary Show Aug 31, 2003 (20:41) Josh Barnett vs Yuki Kondo at Pancrase: 10th Anniversary Show from August 31, 2003 in Tokyo, Japan. Bas Rutten vs Jason DeLucia Pancrase: Truth 6 Jun 25, 1996 (14:36) In a fight which cemented his legend as possessing the most devastating liver-shot in MMA history, Bas Rutten ruptured UFC veteran Jason DeLucia’s liver in this defense of the King of Pancrase title. Ken Shamrock vs Masakatsu Funaki Pancrase: Yes, We Are Hybrid Wrestlers 1 Sep 21, 1993 (11:07) In the main event of the inaugural Pancrase event, Pancrase: Yes, We Are Hybrid Wrestlers 1, Ken Shamrock submitted his mentor and Pancrase co-founder, Masakatsu Funaki by arm triangle a little over six minutes into the match. Minoru Suzuki vs Ken Shamrock Pancrase: Eyes of Beast 4 May 13, 1995 (4:33) Minoru Suzuki vs Ken Shamrock Pancrase: Eyes of Beast 4 from May 13, 1995 in Urayasu, Chiba, Japan. Genki Sudo vs Nate Marquardt Pancrase: Breakthrough 11 Dec 18, 1999 (21:19) Genki Sudo vs Nate Marquardt at Pancrase: Breakthrough 11 from December 18, 1999 in Yokohama, Kanagawa, Japan. Frank Shamrock vs Takafumi Ito Pancrase: 1995 Anniversary Show Sep 1, 1995 (14:36) Frank Shamrock vs Takafumi Ito at Pancrase: 1995 Anniversary Show from September 1,1995 in Tokyo Japan. 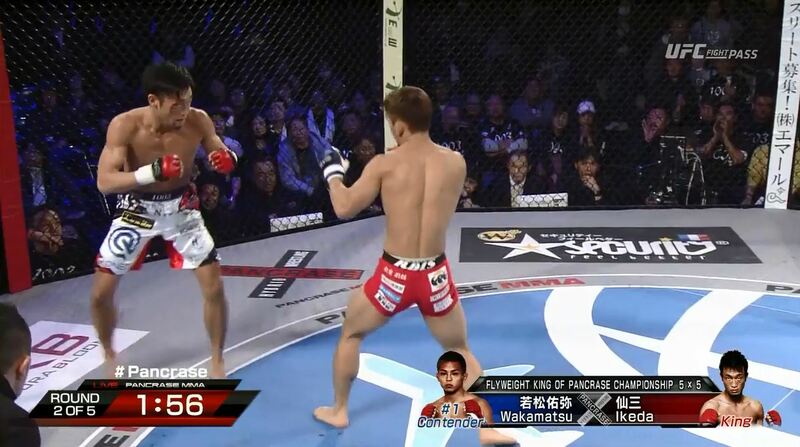 Masakatsu Funaki vs Bas Rutten Pancrase: Pancrash! 1 Jan 19, 1994 (5:02) Legendary Pancrase founder – and elite fighter - Masakatsu Funaki welcomes a raw, inexperienced Bas Rutten to the big leagues in this iconic fight from the early days of Pancrase. Masakatsu vs Funaki Yuki Kondo Pancrase: Truth 9 Nov 9, 1996 (6:34) Masakatsu vs Funaki Yuki Kondo at Pancrase: Truth 9 from November 9, 1996 in Hyogo, Japan. Carlos Condit vs Tatsunori Tanaka Pancrase: Blow 9 Oct 25, 2006 (6:38) Carlos Condit vs Tatsunori Tanaka at Pancrase: Blow 9 from October 25, 2006 in Tokyo, Japan. Bas Rutten vs Frank Shamrock Pancrase: Truth 5 May 16, 1996 (22:24) Bas Rutten vs Frank Shamrock at Pancrase: Truth 5 from May 16,1996 in Tokyo, Japan. Frank Shamrock vs Bas Rutten Pancrase: King of Pancrase Tournament Opening Round Dec 16, 1994 (15:25) Future UFC champion Frank Shamrock made his professional debut vs future UFC Hall of Famer Bas Rutten. 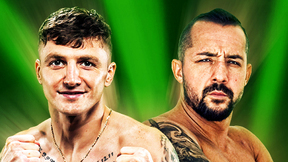 This is the first fight of their epic – and very evenly matched - trilogy. Bas Rutten vs Frank Shamrock Pancrase: 1995 Neo-Blood Tournament: Second Round Jul 23, 1995 (22:13) Bas Rutten vs Frank Shamrock at Pancrase: 1995 Neo-Blood Tournament: Second Round from July 23, 1995 in Tokyo, Japan. Ron Waterman vs Jun Ishii Pancrase: Hybrid 9 Oct 31, 2003 (6:13) Ron Waterman vs Jun Ishii Pancrase: Hybrid 9 from October 31, 2003 in Tokyo, Japan. Genki Sudo vs Craig Oxley Pancrase: Trans 6 Oct 31, 2000 (7:44) Genki Sudo vs Craig Oxley Pancrase: Trans 6 from October 31, 2000 in Tokyo, Japan. Frank Shamrock vs Masakatsu Funaki Pancrase: Eyes of Beast 6 Nov 4, 1995 (16:39) Frank Shamrock vs Masakatsu Funaki at Pancrase: Eyes of Beast 6 from November 4, 1995 in Yokohama, Japan. 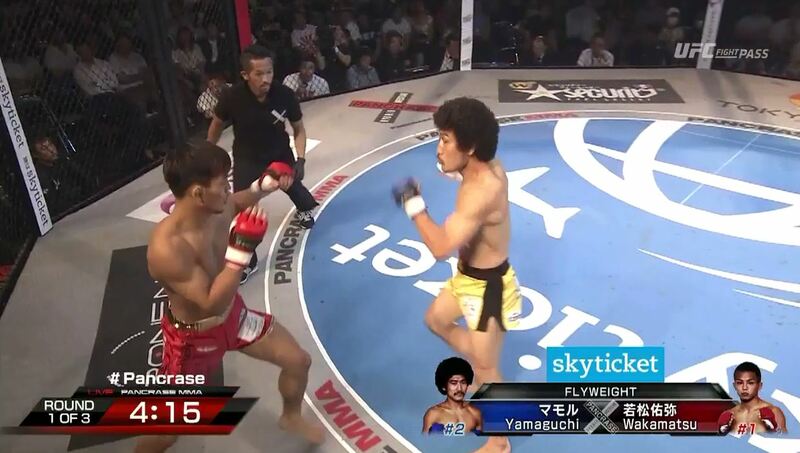 Shinsho Anzai vs Ryo Kawamura Pancrase: 259 Jun 29, 2014 (6:50) Shinsho Anzai vs Ryo Kawamura at Pancrase: 259 from June 29, 2014 in Tokyo, Japan. 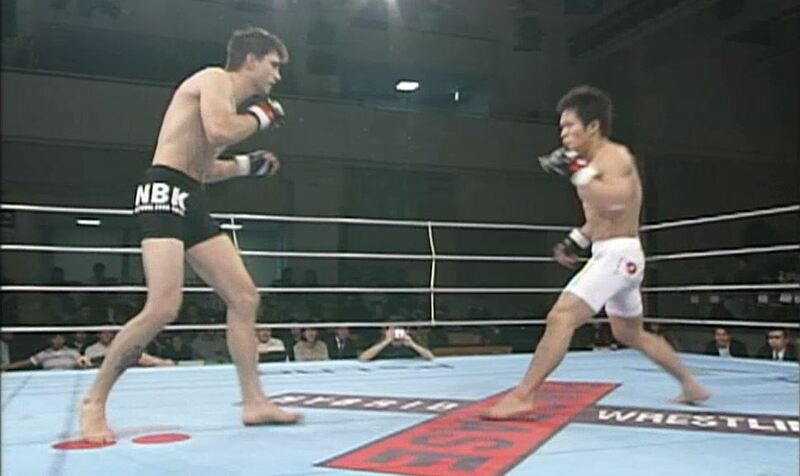 Yuki Kondo vs Frank Shamrock Pancrase: 1996 Anniversary Show Sep 7, 1996 (17:19) Yuki Kondo vs Frank Shamrock at Pancrase: 1996 Anniversary Show from September 7, 1996 in Chiba, Japan. 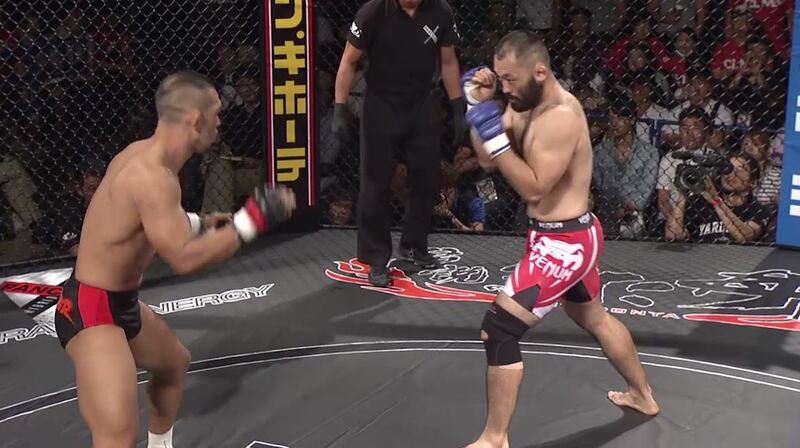 Bas Rutten vs Ryushi Yanagisawa Pancrase: Yes, We Are Hybrid Wrestlers 1 Sep 21, 1993 (2:44) Dutch kickboxer Bas Rutten took on Japanese striker Ryushi Yanagisawa at the original Pancrase event. Taking place two months before UFC 1, using hybrid rules that prohibited closed-fist strikes to the face, there was a real sense of the unknown at the opening bell. Rutten won inside a minute via a shocking palm-strike. Yanagisawa was hospitalized for two days, and Rutten’s career-long reputation as a terrifying striker was forged. Jose Aldo vs Shoji Maruyama Pancrase: 2007 Neo-Blood Tournament Finals Jul 27, 2007 (21:27) Jose Aldo vs Shoji Maruyama at Pancrase: 2007 Neo-Blood Tournament Finals from July 27, 2007 in Tokyo, Japan. Semmy Schilt vs Guy Mezger Pancrase: Advance 8 Jun 21, 1998 (15:34) Semmy Schilt vs Guy Mezger at Pancrase: Advance 8 from June 21, 1998 in Kobe, Hyogo, Japan.